YKK Continuous Zip	There are 12 products. 1m * YKK Continuous Zip - Beige. Sold by the metre. No 3 YKK is a very flexible nylon coil zip used in dressmaking for light to medium weight fabrics, for cushion covers and soft furnishings. 100m * YKK Continuous Zip - Beige. Sold by the metre. No 3 YKK is a very flexible nylon coil zip used in dressmaking for light to medium weight fabrics, for cushion covers and soft furnishings. 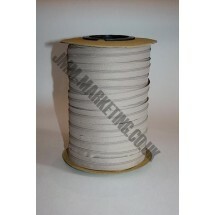 50m * YKK Continuous Zip - Beige. Sold by the metre. No 3 YKK is a very flexible nylon coil zip used in dressmaking for light to medium weight fabrics, for cushion covers and soft furnishings. 1m * YKK Continuous Zip - Black. Sold by the metre. No 3 YKK is a very flexible nylon coil zip used in dressmaking for light to medium weight fabrics, for cushion covers and soft furnishings. 100m * YKK Continuous Zip - Black. Sold by the metre. No 3 YKK is a very flexible nylon coil zip used in dressmaking for light to medium weight fabrics, for cushion covers and soft furnishings. 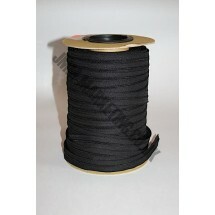 50m * YKK Continuous Zip - Black. No 3 YKK is a very flexible nylon coil zip used in dressmaking for light to medium weight fabrics, for cushion covers and soft furnishings. 1m * YKK Continuous Zip - Navy. Sold by the metre. No 3 YKK is a very flexible nylon coil zip used in dressmaking for light to medium weight fabrics, for cushion covers and soft furnishings. 100m * YKK Continuous Zip - Navy. Sold by the metre. No 3 YKK is a very flexible nylon coil zip used in dressmaking for light to medium weight fabrics, for cushion covers and soft furnishings. 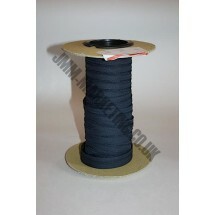 50m * YKK Continuous Zip - Navy. No 3 YKK is a very flexible nylon coil zip used in dressmaking for light to medium weight fabrics, for cushion covers and soft furnishings. 1m * YKK Continuous Zip - White. Sold by the metre. No 3 YKK is a very flexible nylon coil zip used in dressmaking for light to medium weight fabrics, for cushion covers and soft furnishings. 100m * YKK Continuous Zip - White. Sold by the metre. No 3 YKK is a very flexible nylon coil zip used in dressmaking for light to medium weight fabrics, for cushion covers and soft furnishings. 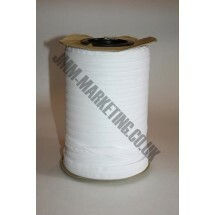 50m * YKK Continuous Zip - White. Sold by the metre. No 3 YKK is a very flexible nylon coil zip used in dressmaking for light to medium weight fabrics, for cushion covers and soft furnishings.